Our winemaker, William Conkling, with a background in Biology, Chemistry, and Geology, began his fermentation career in 1999 working in Quality Assurance for one of the local breweries in Fort Collins, but he always maintained a passion for winemaking. After 7 years at the brewery he decided it was time to take his hobby to the next, and legal, level. After finishing the winery construction in 2006, the next step was licensing and approvals, and in just under a year we were ready for the first grape harvest. Using grapes from Colorado’s Western Slope we made our first Cabernet Sauvignon and Chardonnay, and with Washington grapes we made our first Pinot Noir and Pinot Gris. After a couple of years of research, into what types of grapes to plant on the Front Range, we had finally found what we believed would be the best varietals to plant in our unique climate, the Marquette and La Crescent. Both are cold hardy hybrids developed by the University of Minnesota with the Marquette producing a wonderful red wine and the La Crescent an amazing white. With lots of help from family and friends we managed to plant 480 vines in May of 2009, with minimal soil disruption, to maintain the native flora. 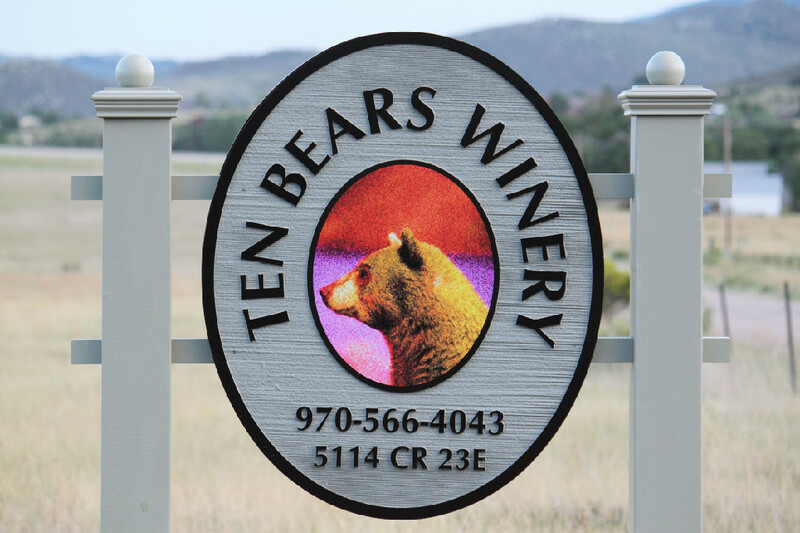 Hopes of a small harvest were quickly dashed in the Spring of 2012 due to an unnaturally warm April followed by a freeze in May which caused us to lose the first bud break, but the outlook is good for future harvests, so we will keep our fingers crossed, and keep a look out for Ten Bears Winery Larimer County Estate Bottled Marquette and La Crescent in the near future.